A stock preparer needs to prepare a stock of goods to service an order whether placed in advance or expected from a potential customer. Also, an inventory of the stock available in a warehouse or store is job required to be effectively done by the stock prepare. While they need to coordinate with admin and shelving staff, they may also be required to guide customers to location of different items. If stock becomes short after servicing a particular order, they should inform the concerned department to make arrangement for availability of fresh stock. A stock preparer should know the quantity of all items under their supervision all the time and in case of any shortage they should inform the supply department immediately. They should know how much stock has been released against the orders and how much is expected to be done during the rest of the day and even week. Supply of all stock up to the sufficient level depends on the stock preparer's information provided to the supply department. How much supply is needed on a particular day against the arrived orders or against the expected order should be kept in record by the stock preparer. Similarly, how much stock is available on the shelves or stored should be kept in mind so that arrangements can be made in place to get immediate supply of goods in case of their shortage. The stock preparer should have a system in place to keep record of inventory that has been shipped against the orders on a particular day or even week and month. This can be done by keeping an inventory of all the stock arrived in the store and stock released out to different customers. The best way to handle the entire stock effectively and keep a stock of it is to organize the entire stock in a systematic way. If the stock preparer shelves the stock properly or stores in a proper storage system, there is no way that they can miss their count in the record. 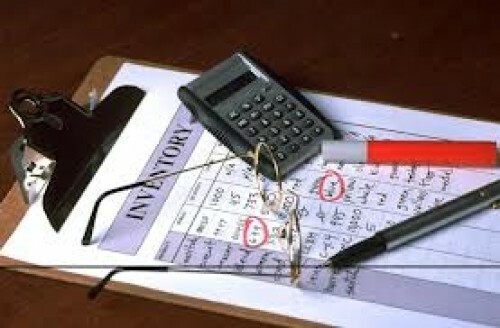 Ensuring stock safety and security is a part of a stock preparer's job. It is likely that big warehouses have security and safety equipment in place in the store or warehouse and if not, they should get it done.